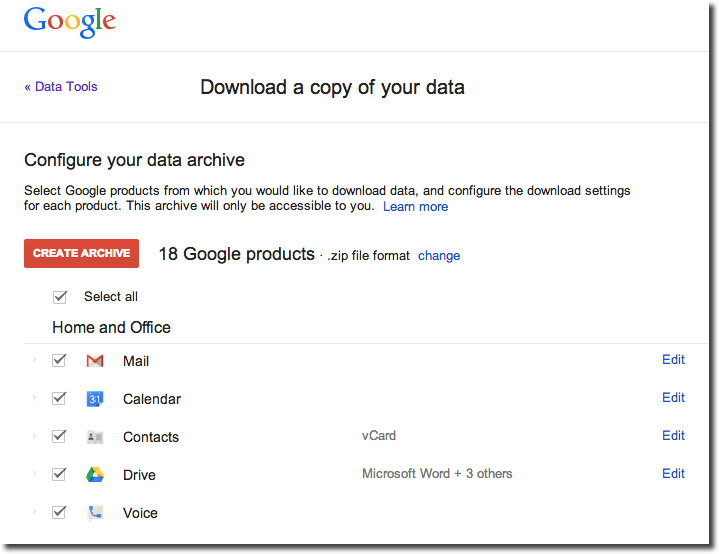 Ever wondered how to download in easy steps all your stuff at Google? Easy! Just point your browser to www.google.com/takeout and select exactly what you would like to download. Start by clicking on “Create an archive” and then choose exactly on the items you would like to have an archive file created. When the file is created, Google will let you know so you can download it to your computer or you can enter again the address mentioned before to see your already created archives.